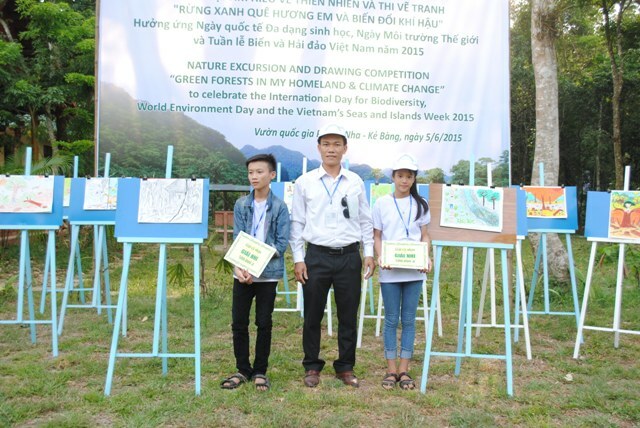 In response to the World Environment Day (5/6), International Day of Biodiversity (22/5), Sea and Islands Week 2015. 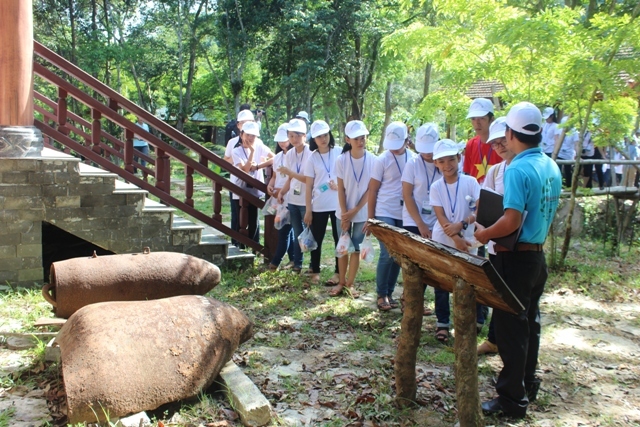 Vietnam dated 05/6/2015 morning, park management committee Phong Nha - Ke Bang National Park in collaboration with GIZ Regional component Phong Nha - Ke Bang held a picnic learn natural and. 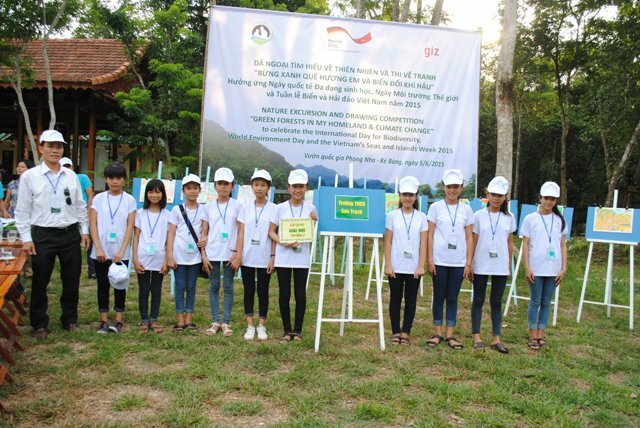 In response to the World Environment Day (5/6), International Day of Biodiversity (22/5), Sea and Islands Week Vietnam in 2015. 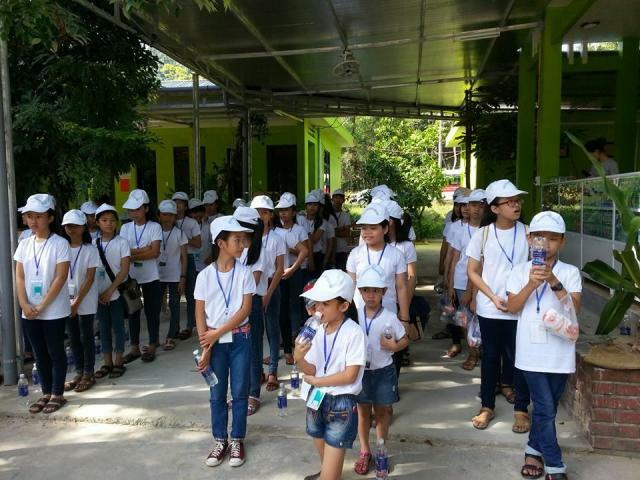 In response to the World Environment Day (5/6), International Day of Biodiversity (22/5), Sea and Islands Week 2015. 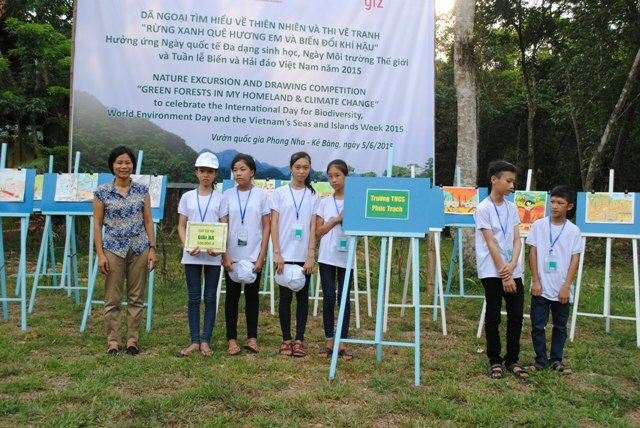 Vietnam dated 05/6/2015 morning, park management committee Phong Nha - Ke Bang National Park in collaboration with GIZ Regional component Phong Nha - Ke Bang held a picnic learn natural and drawing competition "green Forest native children and climate change" for students in the secondary schools Bo Trach district buffer zone and the Chu Van An secondary school & high school - Dong Hoi city in the botanical Garden. 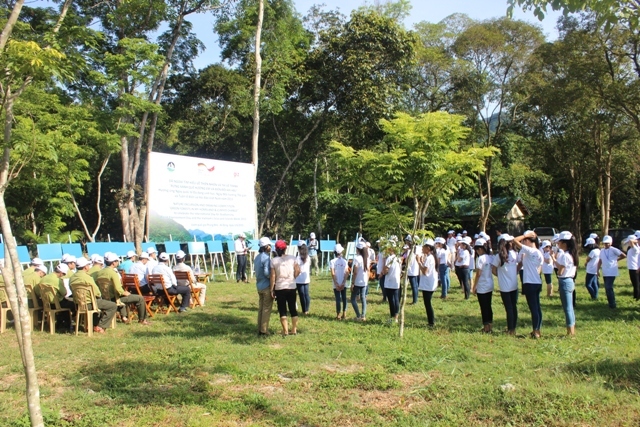 Attending the opening ceremony were leaders of the MB Gardens; representatives of departments, units, and institutions directly under the Park Management Board; GIZ representative office in Quang Binh; Principals of Secondary School Son Trach, Phuc Trach Xuan Trach Secondary School & Chu Van An; Son Trach Commune People's Committee representatives and reporters Television Quang Binh attended and reported. 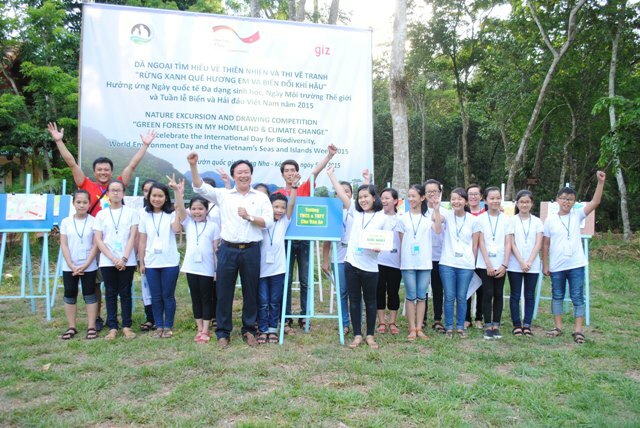 Speaking at the opening ceremony, Mr. Dinh Huy Tri - Deputy Director of the Park Management Board, emphasized the consequences of climate change, ecosystem functions; the value of heritage and environmental interactions with humans. By the way, park management committee called on people to join hands for environmental protection, natural resources of heritage for development and long-term sustainability of the region. 5/6 Day morning students are participating in the botanical garden picnic, watching movies about climate change. 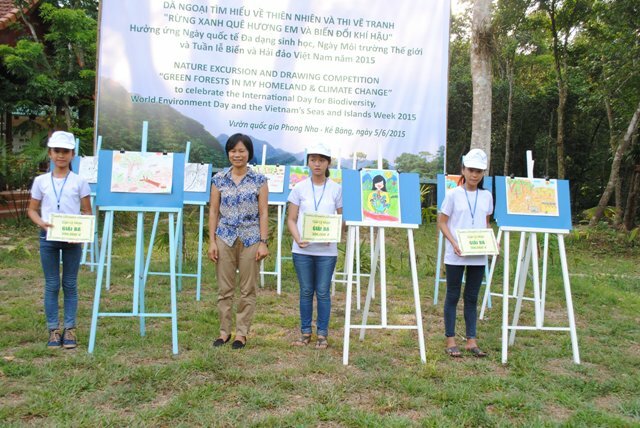 The same day the children drawing competition on the theme "Green Forest native children and climate change". 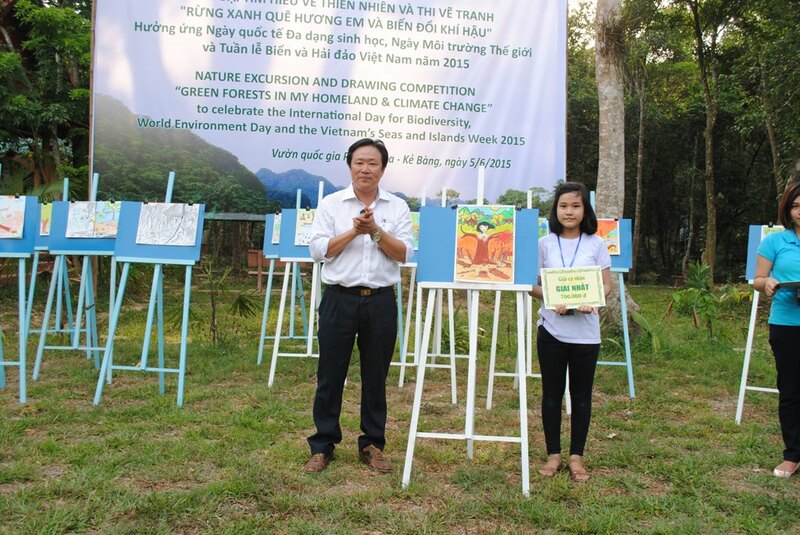 A / c Dinh Huy Tri - Park Management Board Deputy Director award for Mai Le Thu Hien - Secondary School in Chu Van An High & drawing competition "Green Forest native children and Climate Change"
Nguyen Hien Nhi - Son Trach Secondary School in the drawing competition "Green Forest native children and Climate Change"
Le Thi Hoai Thuong - Xuan Trach Secondary School in the drawing competition "Green Forest native children and Climate Change"
in the drawing competition "Green Forest native children and Climate Change"